Happy Memorial Day!! Hope you are enjoying your three day weekend. I've been busy cooking, catching up on sleep and swimming laps at my condo's pool. Not a bad way to spend my time...although laundry awaits. When I was thinking about recipes to post this week, my inspiration was pretty much shut. Then, I discovered Asian pears were on sale at my grocery store and decided to make a slaw using them. Alas, my store didn't actually have the Asian pears available. 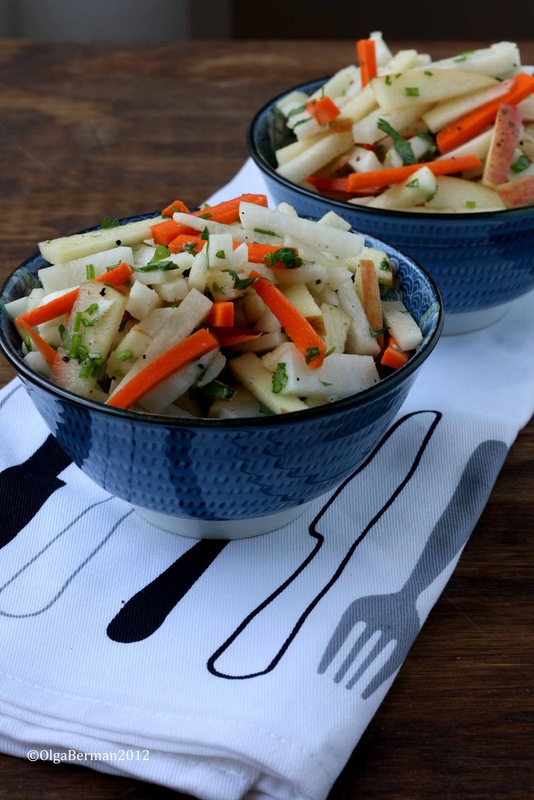 Not wanting to scratch my plans of making the slaw, I decided to use jicama instead! What is jicama? Well, it looks like a flat giant potato, but it doesn't have to be cooked. Once peeled, it can be shredded or chopped and added to salads. It has a slightly starchy taste, but a crisp light texture. 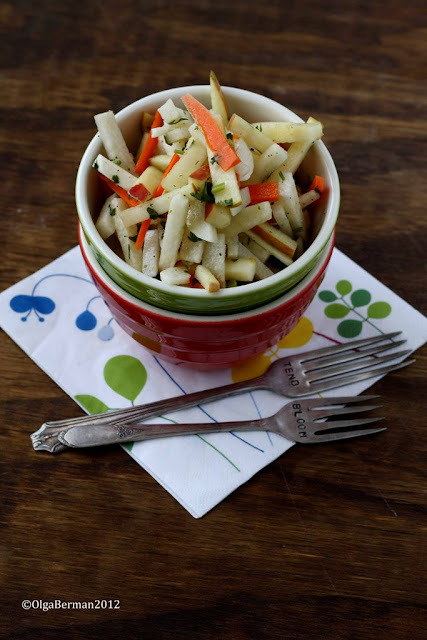 Combined with carrots, daikon radish and a sweet apple, jicama makes a great slaw. 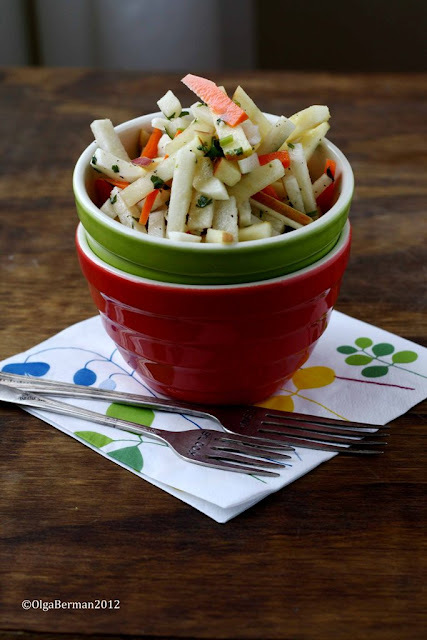 There is no mayonnaise in this recipe, which makes it healthy and perfect for picnics! 1. Combine all ingredients in a large bowl. There is no need to whisk the dressing in a separate bowl. 2. Refrigerate the slaw for at least an hour. Can this recipe be any easier? I don't think so. 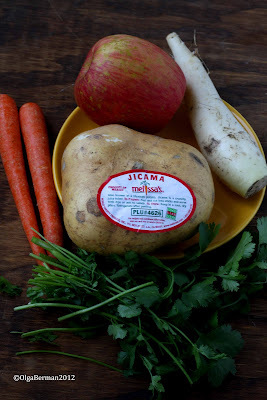 Have you cooked with jicama before? What are you eating this Memorial Day?